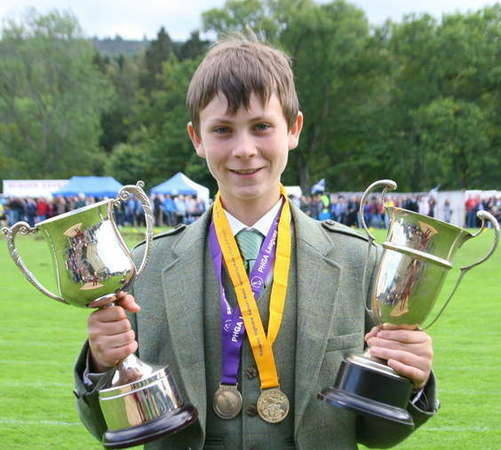 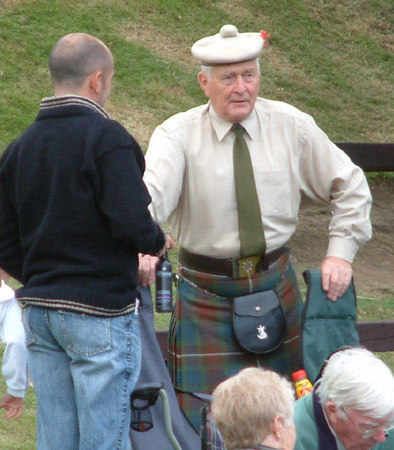 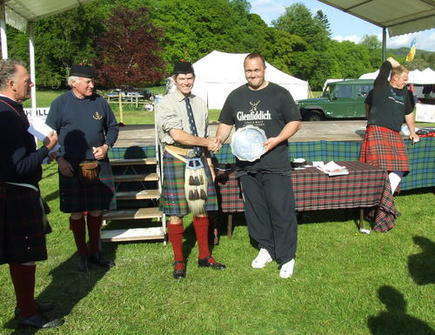 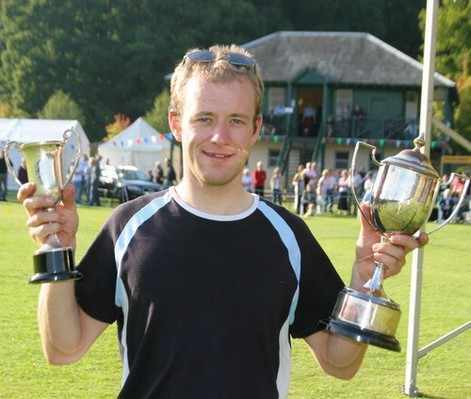 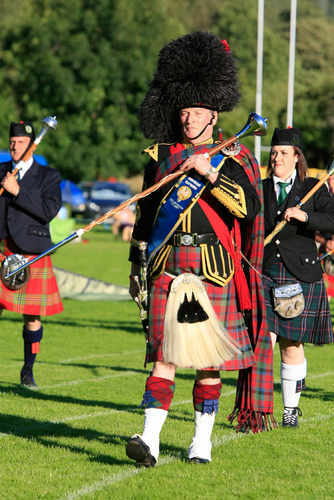 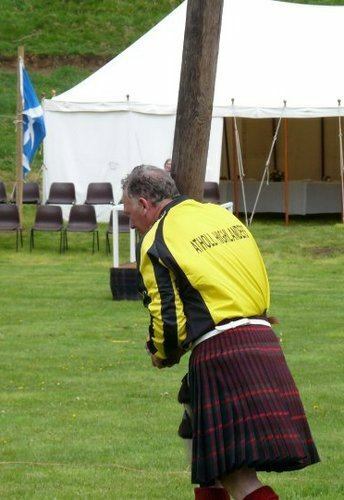 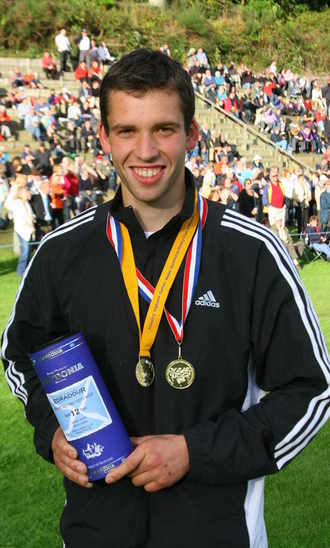 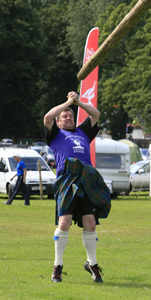 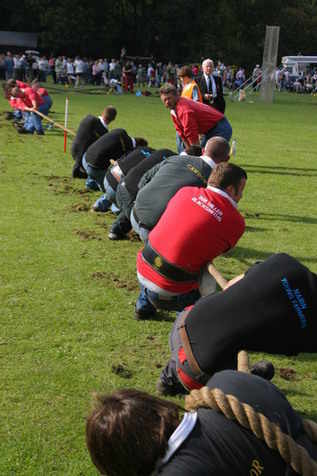 Stuart Anderson from Killin, last year’s Highland Safaris League champion, won his first open Championship medal at Oldmeldrum Sports when he tied with Bruce Robb, Rosyth for the British Caber Tossing championship. 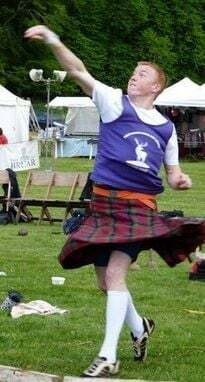 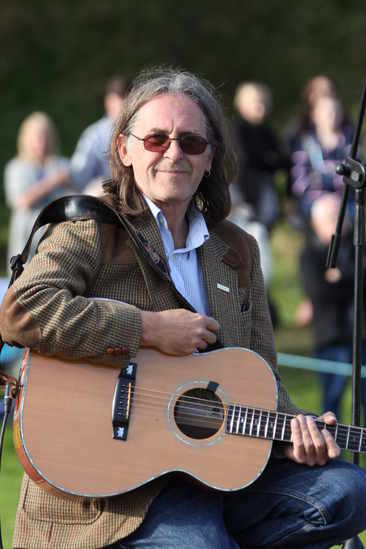 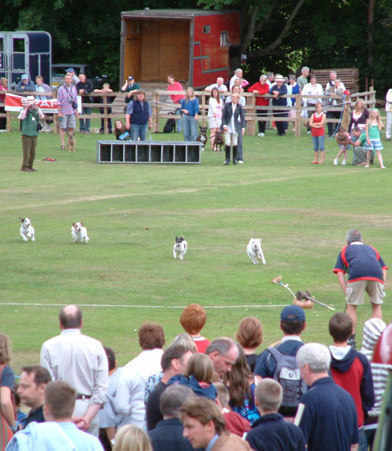 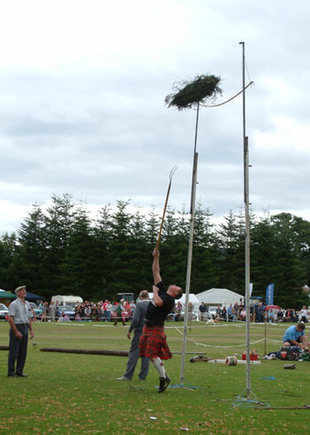 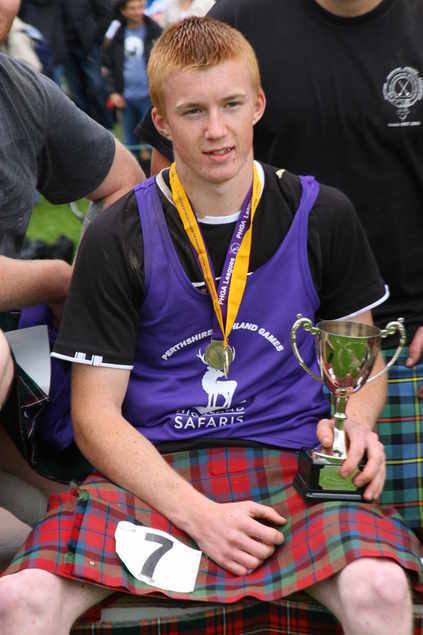 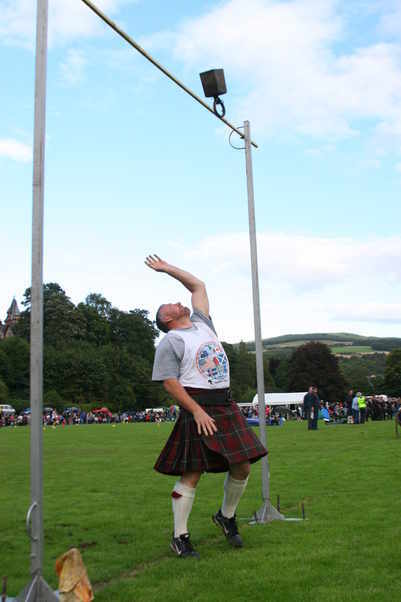 Stuart will be ready to do battle nearer to home at Kenmore Games on Wednesday 7 July, when all the leading heavy event athletes will be keen to add to their current League standing in the Highland Safaris Perthshire League. 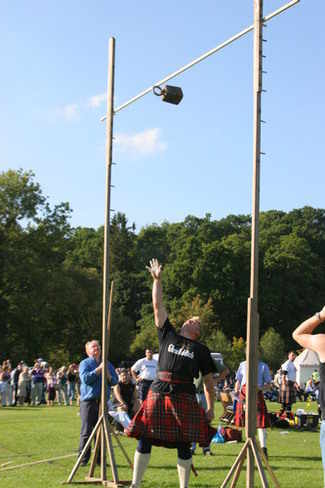 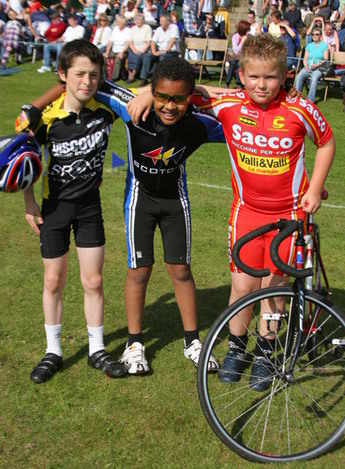 Prior to the Games which start at 5.30, there are heavy events competitions, with age groups targeted at school age (S1 – S6) boys and girls. 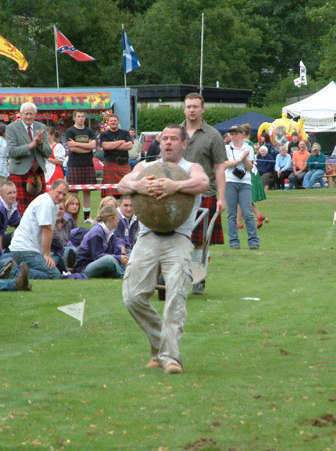 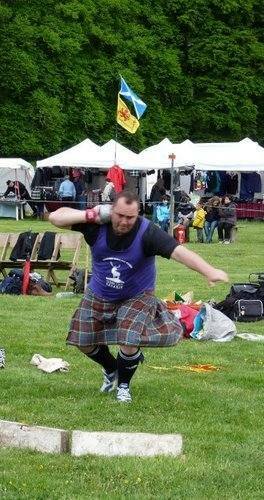 The events (using light weights) are Shot Putt, Throwing the weight for distance and Caber. 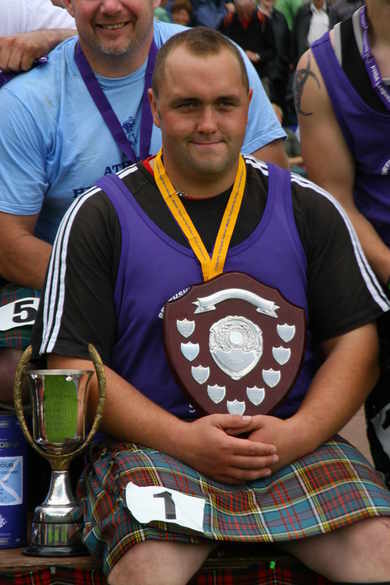 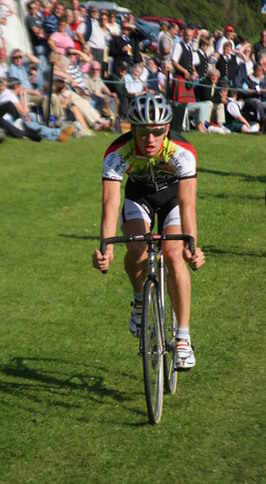 All interested athletes should report to John Robertson on the field by 3.15pm for a 3.30pm start. 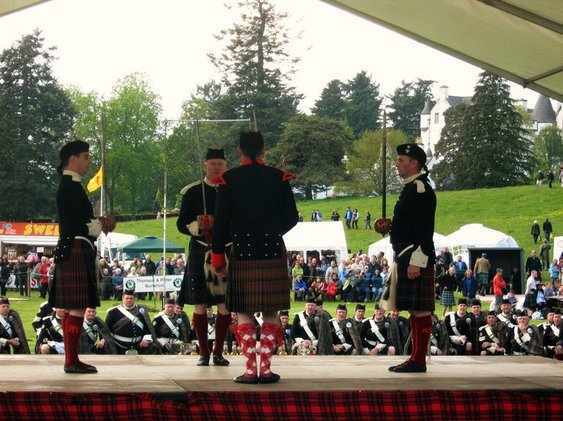 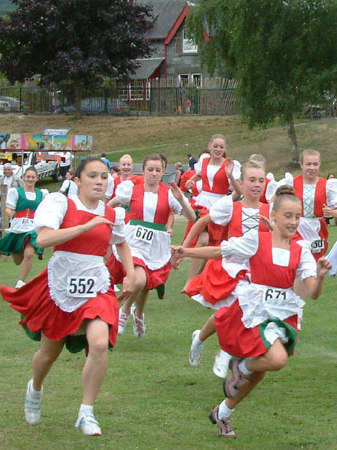 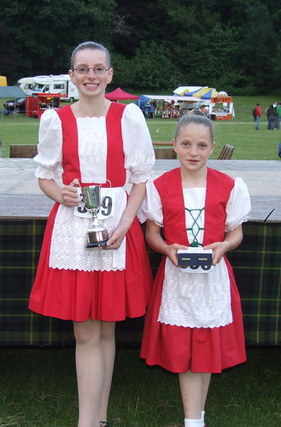 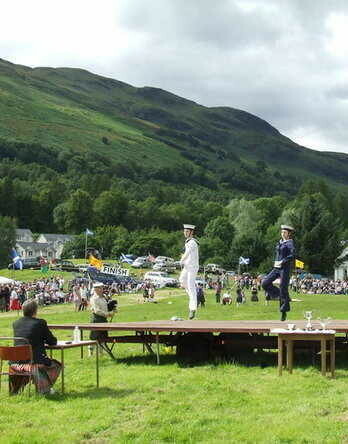 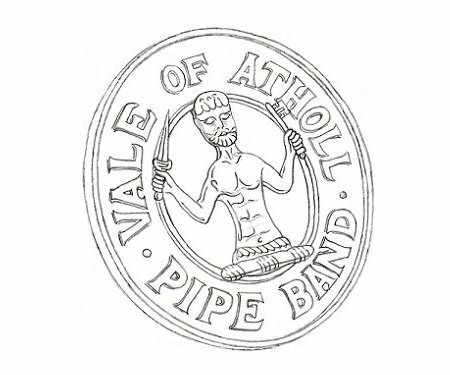 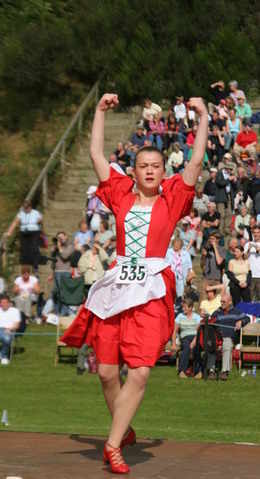 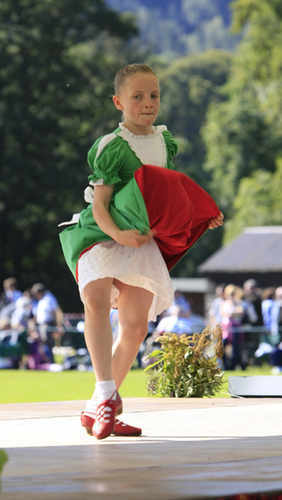 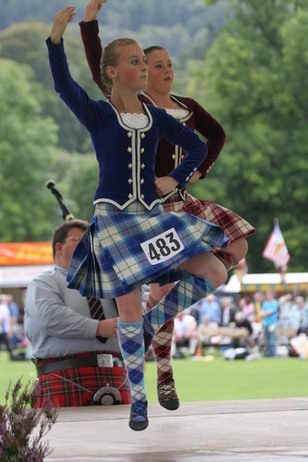 Confined to Perthshire Dancing commences at 5.30 with the Open competition for Primary and Premier dancing following on. 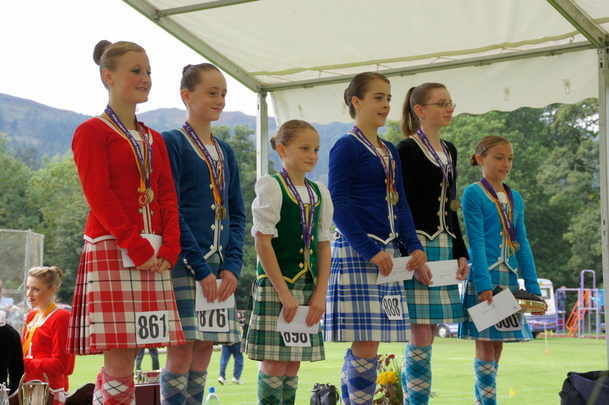 Congratulations to Lyndsey Douglas, Birnam who won the Pre-Championship for 11 year olds at the Tayside Championships in Arbroath. 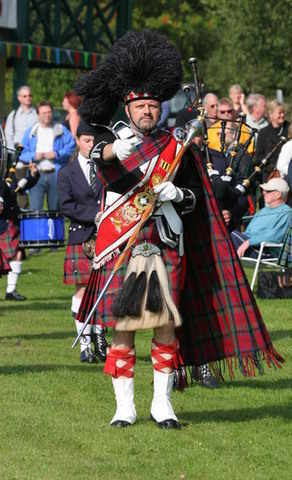 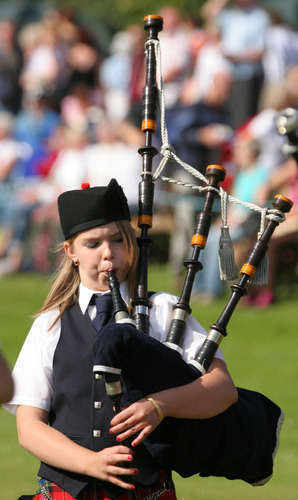 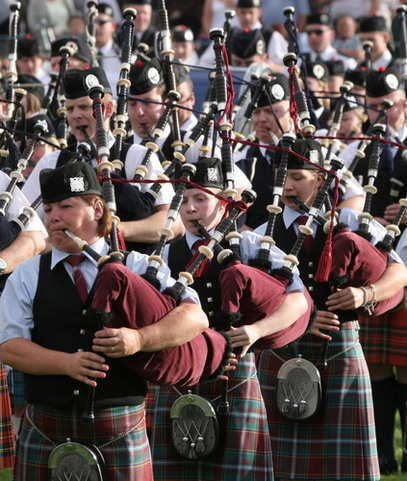 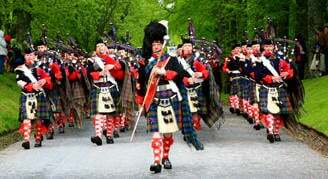 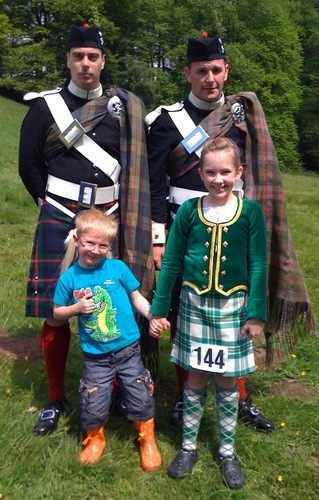 The Junior Piping League is also set to continue next Wednesday so come on pipers let’s have a good entry.